When it comes to anime hair, no color is off-limits. 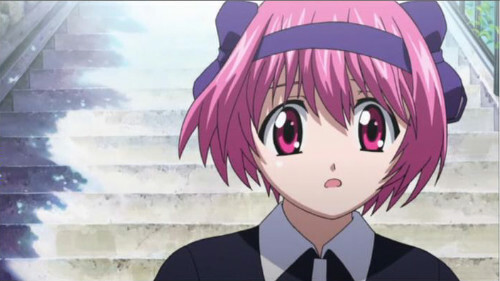 No one bats an eyelash at all the green and blue-haired girls in the anime universe, and pink is the new black. Among this rainbow of colors is the wonderful purple - a color that can be anywhere along the spectrum from close to white, to darker than black. Sometimes purple hair is reserved for characters who have a dark history but whose hearts have not entirely darkened yet. But sometimes it just looks good! The following data was taken from the Character Ranking Page on MAL on the date of publication and is based on the amount of times each character is added to a user's "Character Favorites" section. 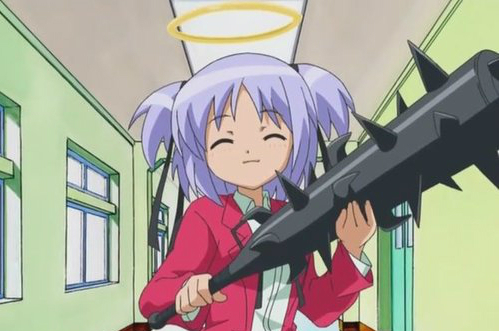 Dokuro is cute and angelic, with pretty purple-blue hair up in half ponytails and a sweet smile. So you really don't expect her to whip out a giant club and bludgeon people to death with it. She was sent back in time to assassinate a target, but decided to save him instead... if she doesn't kill him first, that is. Sweet and caring, Chisaki is the “girl next door.” As she grows up, she starts to wear her long dark purple hair shorter and wavier, but whether it’s long or short, Chisaki’s kind face and loving personality make her someone you’d want as your friend. 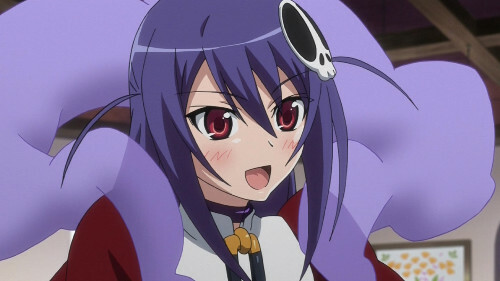 Haqua’s long purple hair might be impressive, but the cloud-like cloth she wears around her neck is more eye-catching, especially since it can turn into anything she wills it to. Haqua is proud, the kind of girl who would lose everything rather than ask anyone for help. 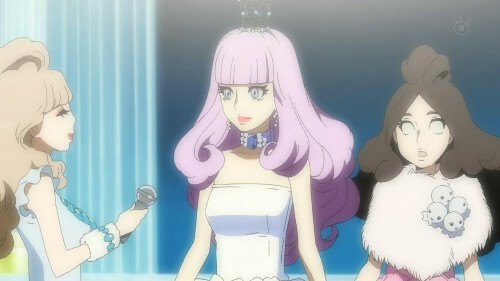 Frederica’s long purple-blue hair falls over her emotionless violet eyes that hint there might be something twisted hiding behind them. Frederica might have the amazing power to create miracles, but at what cost? Adorable and flighty, Tsukasa might not be as reliable as her twin sister Kagami, but she sure is cute! 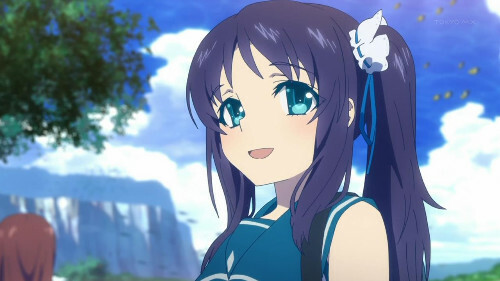 Her huge blue eyes and sweet smile are dead giveaways that she’s the airheaded and innocent one of the Lucky Star bunch, and it’s easy to forgive her for failing to keep up with conversations because she’s just so darn adorable. In another world, Nana would be a cute carefree girl. But there isn’t much you can do about your fate when you’re of a mutant race prone to violence. The little horns that peek out from Nana’s short hair might look cute, but they’re the mark of an unavoidable destiny. Ok so technically Koibuchi is neither purple-haired nor a girl, but he still is one of the most stylish purple haired girls in anime. Koibuchi fools most of the people he meets with his cross-dressing, and it’s clear to see why: perfectly made up face, perfectly groomed hair, perfectly… well, perfect. He wears many wigs throughout the series, but the purple wavy one is definitely a classic. More people would appreciate Hanyuu’s pretty long hair and black horns… if more people could actually see her. Hanyuu is stuck in the spirit world and invisible to most of the other characters, leaving her to haunt them with ceaseless apologies. 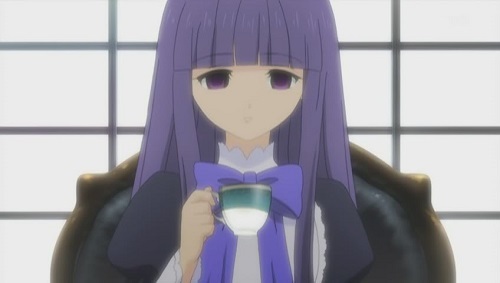 Yuuko has the most billowy purple-black hair, the kind what sways in the wind even when there’s no wind to speak of. She might look serious and even intimidating, Yuuko is cheerful and friendly - at least, as friendly as you can get when you’re not much more than a spirit. 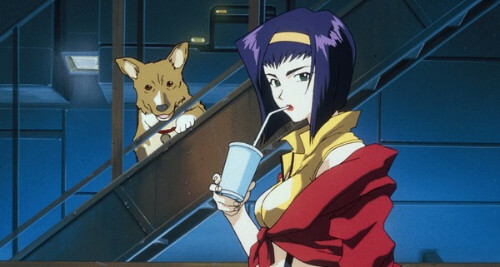 Everything about Faye is as slick as her hair, which is pitch black but shines purple and blue in the light. As a tough bounty hunter, Faye has quite a reputation for being a beauty with an attitude, and for leaving quite a few broken hearts in her wake. 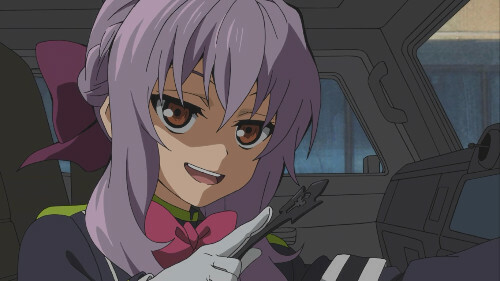 She might be small, but Shinoa doesn’t let her size stop her from being a great leader. She keeps her grayish purple hair pinned in the back with a bow, which might make her look a bit childish, but don’t be fooled - Shinoa’s teasing knows no bounds. Watch out for that tell-tale smirk! 9. 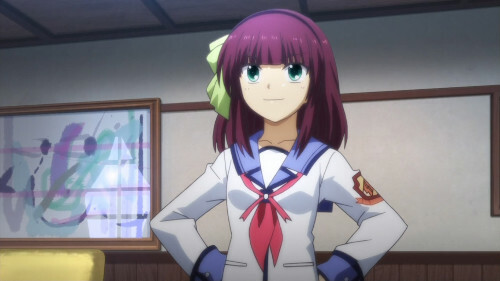 Yuri Nakamura from Angel Beats! Yuri has bright magenta hair to match her bright personality. Determined and collected, she makes a great leader. Of course, you have to be a good leader when you’re going up against God. 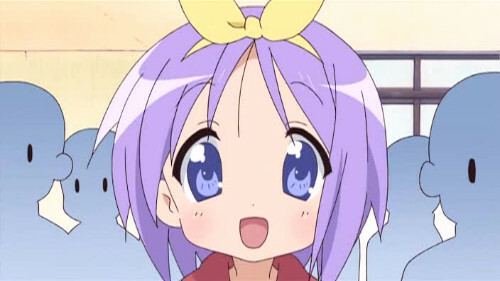 Renge’s cute pigtails are more than just a style - the ribbons they’re held up by have special meaning to her. 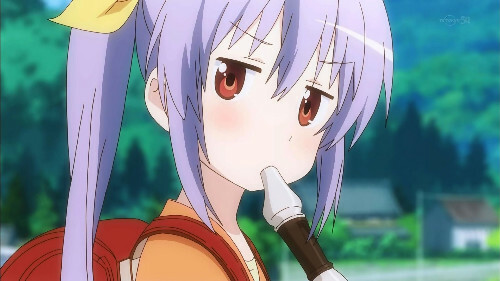 Renge is friendly and curious, loves giving people nicknames almost as much as making up songs on her recorder. She’s a loveable little child who’s often lost in a world of her own - basically what everyone wishes their little sister were like. Twin number two of the Hiiragi duo, Kagami is a straight-laced student who knows how to get things done. 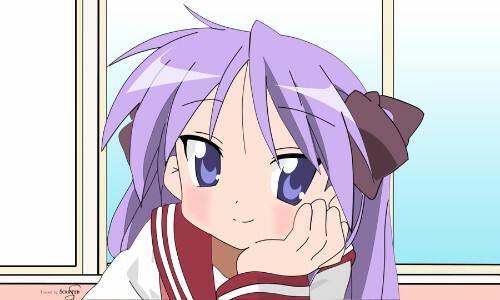 She keeps her long purple hair in two long ponytails, in stark contrast to her fraternal twin sister Tsukasa. For twins, they sure are different - and Kagami’s tsundere nature landed her a spot as the more beloved of the two by MyAnimeList fans. Eyepatch? Check. Crazed grin? Double check. Minene is a survivor, an assassin, and an infiltration expert. It’s probably best to stay a safe distance away from this purple-haired beauty. 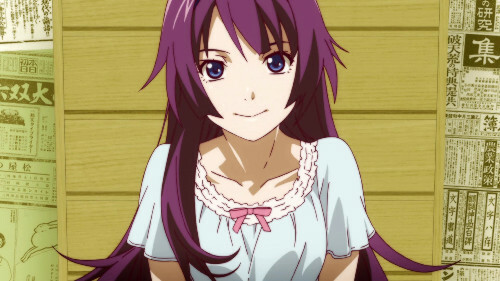 Mizore starts off with long hair but later crops it short to her current cute ‘do. She’s reserved and quiet… except when it comes the object of her desire. 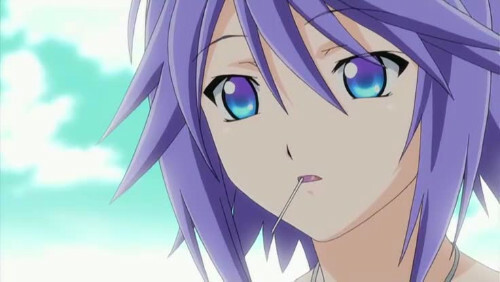 Mizore manages to go from depressed and misunderstood to creepy stalker with a snap of the fingers. 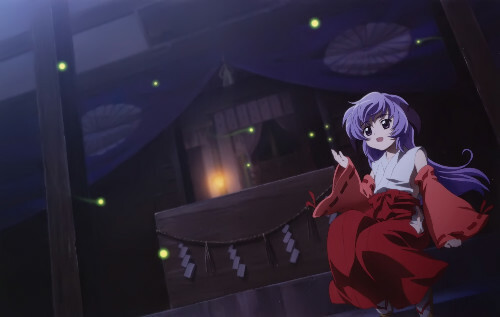 This little shrine maiden is more important than she seems, and holds the key to a bunch of strange happenings around her. 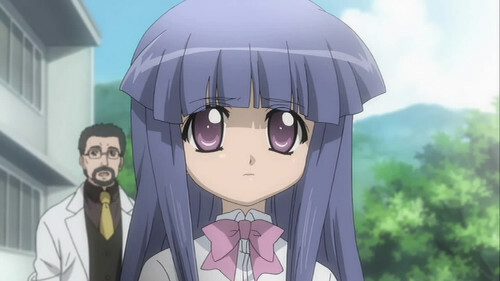 Rika acts cute and innocent, but she might just be wiser than she lets on. Looking for a chick who packs a punch? 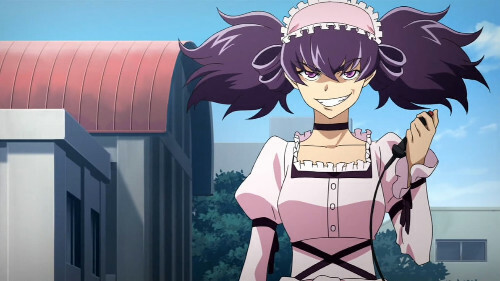 Saeko is more than a pretty girl. 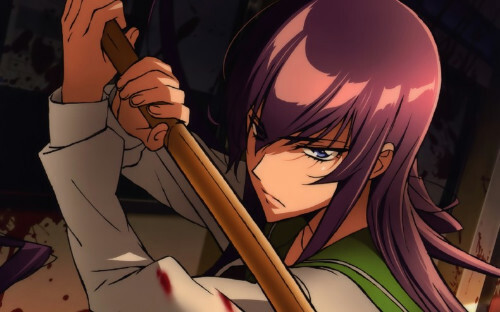 President of the Kendo Club at school and a leading fighter against the zombie outbreak, Saeko can definitely fend for herself. She appears calm and collected, but a short fuse and a tendency to go all out can land any would-be assailants a trip to the hospital. 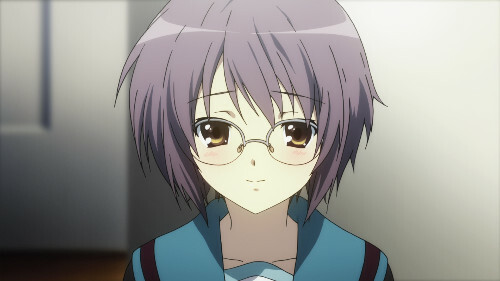 Yuki seems like an introverted bookworm, but as a member of Haruhi’s SOS Brigade, you know she’s at least.. unique. Don’t expect her short lavender hair to grow, ever. It’s complicated. For someone considered “weak” by her classmates, Senjogahara has quite a presence. The top purple haired beauty is ready for a fight and strong enough to face any demon, real or imagined. Beware her stapler of doom!